The product will be supplied clear, unpainted and includes a decal sheet, pre-cut window masks, side mirrors, a muffler, GT wing and low mounts for wing. The product will be supplied clear, unpainted and includes a decal sheet, pre-cut window masks, side mirrors and a muffler. SLIDE MASTER LB best matches to this body. 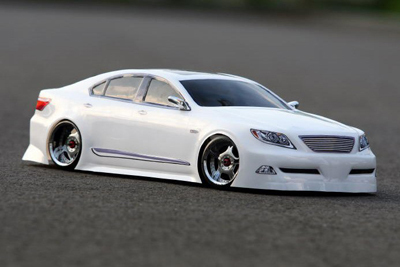 For normal drift car chassis, it is the best to use offset 7mm wheels for front tires, offset 10mm wheels for rear tires. 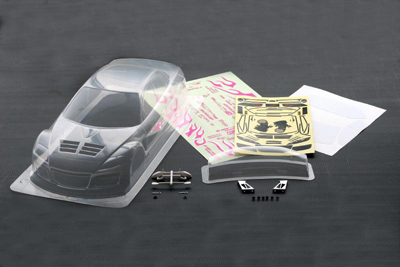 The product will be supplied clear, unpainted and includes a decal sheet, pre-cut window masks, original side mirrors, a muffler, GT wing and wing mounts. 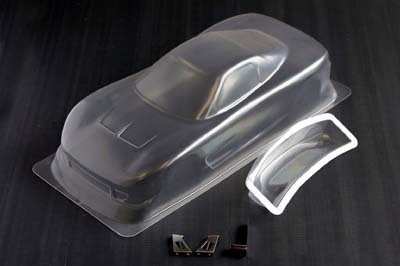 The product will be supplied clear, unpainted and includes a decal sheet, pre-cut window masks, side mirrors, a muffler, GT wing and wing mounts. 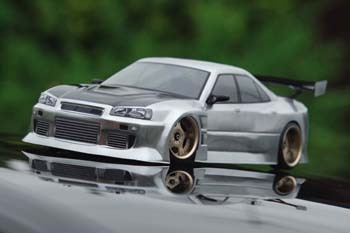 The product will be supplied clear, unpainted and includes TRD wing and a muffler. 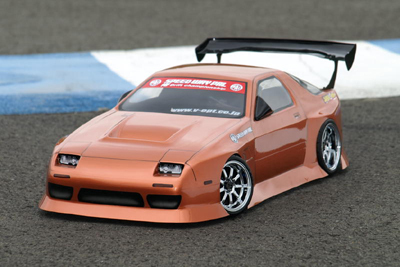 The product will be supplied clear, unpainted and includes GT wing, wing mounts and a muffler. 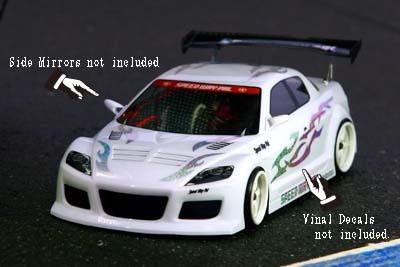 The product will be supplied clear, unpainted and includes a decal sheet, pre-cut window masks, GT wing and wing mounts. Caution: Vinal decal and side mirrors in below picture are not included. 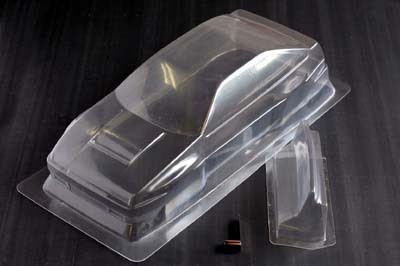 The product will be supplied clear, unpainted. The product does not include side mirrors or decals. The product will be supplied clear, unpainted. The product does not include wing or decals.